Coach LB Dallas Andrew and his coach | Center Shot Archers, Inc. 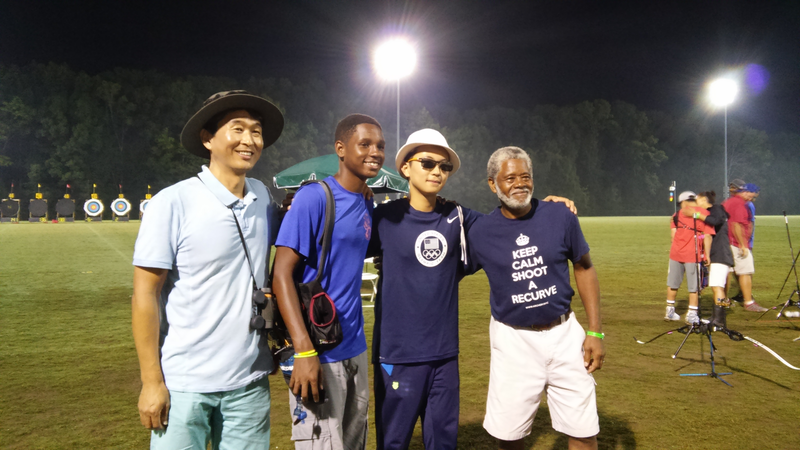 Right to left: Coach Brown, Andrew Park, Dallas, and Andrew’s Coach after the elimination round. Andrew took Gold and Dallas took Silver.